Home >	Nieuws	>	How often do you handle each single bottle in your operation? How often do you handle each single bottle in your operation? ANCRA ATLS solutions reducing logistic handling up to 70% ! 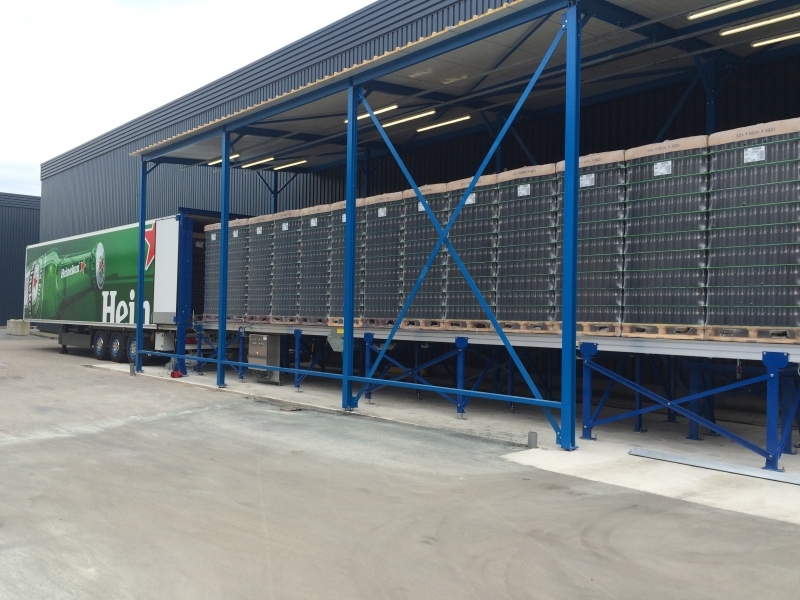 The new empties are produced in a neighboring supplier, and shuttled with trailers to the bottling lines. After filling, the full bottles are often shuttled to a 3pl or nearby warehouse/DC. Often, the used empties are returned from the collection point to the bottling lines for re-use. From the main warehouse/DC the trailers shuttle (full bottles and empties) to sub-DC’s or retail warehouses. All these logistic flows, typically result that each bottle is handled between 3 to 5 times (!) in trailers shuttling between two or more locations. Then our single bottle becomes part of a truckload with pallets, now consider that a traditional forklift truck can easily take up to 45 minutes for (un)loading one single truckload, the ANCRA ATLS shuttle application reduces this time to only 3 minutes (!). Imagine the reduction in truck turnaround time! With 3 to 5 handling processes for each SKI, both to be loaded and unloaded, this means that, depending on driving time, trailer fleet reduction can be achieved up to 70% or more, for the same volume. With a few questions we can calculate your savings in operational costs in a detailed ROI calculation. After all, every situation is unique! Extremely quick Return On Investment (ROI) (typically 2 to 6 months ! Check out the video of a typical Chain application in this link and contact our sales team to discuss the advantages of ANCRA Systems’ Automatic Truck Loading Systems for your application.